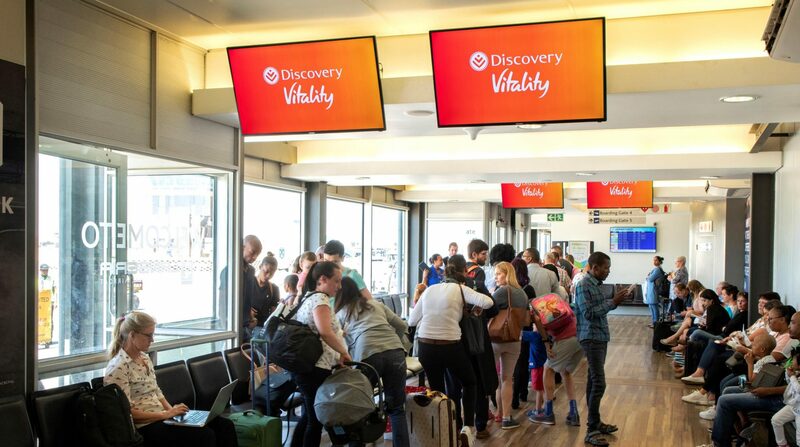 Airport Ads provided the perfect blueprint of how best to leverage the power of digital with an out of home campaign in partnership with Discovery Vitality that delivered tangible results for the client. 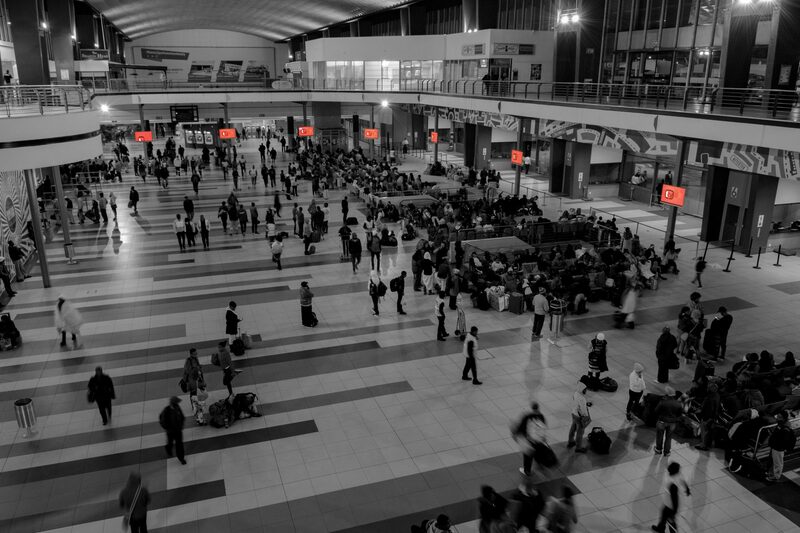 The campaign rolled out across 500 Airport.tv™ and Visionet™ digital screens at 12 South African airports, providing Discovery with the opportunity to reach, approximately, 6.5 million travellers over a 10-week period. 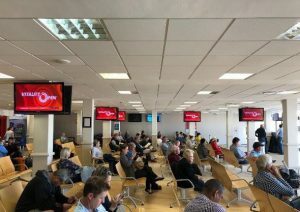 With screens located all along the passenger journey in the high dwell time zones of the various airports, each passenger was exposed to these zones at least eight times on a return trip. 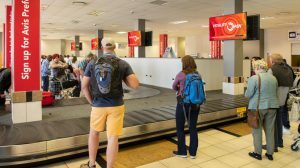 “The airport environment was the perfect environment for Discovery to roll out this campaign, as travellers are at the heart of their target market,” says Mzi Deliwe, Deputy CEO of PMG and Head of Airport Ads. Discovery offers its members a host of rewards for their custom and loyalty, including heavily-discounted deals with travel brands such as kulula.com, British Airways, Emirates, Qantas, Europcar, Tempest, and Royal Caribbean International Cruises, making the brand attractive to travellers and making perfect sense of an airport-focused campaign, where Discovery could speak directly to this constituency. Further to that, South Africa’s ‘digital appetite’ is growing, with the results of Hootsuite’s ‘Digital in 2018 in Southern Africa’ survey, which, among others, looked at ‘device usage’ in South Africa, showing that 60% of the population make use of smartphones, which is obviously a prerequisite for downloading apps. “Discovery hit on the right mix for driving those downloads, because out of home is a media amplifier, driving mobile, social and digital engagement better than any other advertising medium,” says Deliwe. Supporting this assertion was a 2016 study by OOH industry body Outsmart, which suggested that OOH can drive short-term metrics such as sales, rather than just long-term factors like brand awareness, with the study going on to show that people who had seen an OOH advert were 17% more likely to interact – or “perform a brand action” – with the brand or campaign in question on their phone than those who had not. By way of example, and according to the Interactive Advertising Bureau (IAB), an online delivery service used OOH to cut through the noise and reach hungry consumers with creative posted on New York’s streets and subways. This messaging reached commuters on their way home from work, when dinner was most likely on their minds. Within a week, the campaign had 1.1 million earned social impressions on Twitter alone. 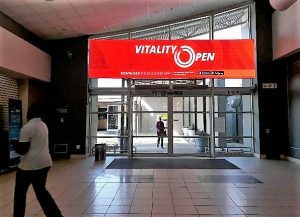 A nine percent increase in brand awareness and a 10 percent increase in app use were also attributed to the OOH campaign.